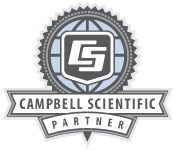 Draker provides remote data collection, data management, and web services for complete monitoring and control packages built on the Campbell Scientific hardware platform. Draker's web services include a web application for operations and maintenance as well as a full line of public view websites for educational purposes. Draker also offers solar prospecting packages.